The Shrimp and Fried Vietnamese Egg Roll Vermicelli Bowl is a light lunch option. Photos by Collin Richie. Downtown has a variety of lunch establishments for a quick midday meal, but the area lost a popular one when Harrington’s Cafe closed in 2017. The space didn’t stay vacant for long, though. Cafe Mimi moved in last fall, bringing a fresh, Vietnamese-style take to the business lunch. The interior is minimalist and soothing with wood accents and aluminum chairs. Be warned, however, that the noise level is high during the busy downtown lunch rush. My advice: Go after 1 p.m., and you will be rewarded with a more serene lunch. Each weekday, the restaurant offers a variety of classic lunch specials ranging from seafood and beef to salads and pasta. The menu also has a made-to-order section with an emphasis on Vietnamese cuisine. I never tire of fresh Vietnamese spring rolls. Cafe Mimi’s version provided the refreshing combination of lettuce, noodles, veggies and meats that make it a winning starter. Featuring shrimp and pork, the rolls delivered simple flavors that never overwhelmed the palate. A thick peanut sauce accompaniment, as well as Sriracha on each table, allowed us to cater to our preferred levels of sweetness and heat. For entrees, two of us went with specials while one chose a Vietnamese dish. The Shrimp and Fried Vietnamese Egg Roll Vermicelli Bowl is a mouthful to say but a light option for lunch. The egg rolls, fried to a crisp golden exterior, were crunchy and meaty yet delicate. A perfect counterpoint were the plump, juicy shrimp. Mild noodles mixed with lettuce and fresh herbs rounded out this bowl of goodness. There was an accompanying sauce that was a touch sweeter than expected. My friend balanced this by adding more Sriracha. specials, served with boiled eggs, romaine lettuce, onions, tomatoes, cheese and crispy bacon. The house sensation dressing was recommended, and though it was thicker than most and had a more tart citrus flavor, it complemented the raw greens well. The shrimp were plentiful and sweet with hints of smoky grilled flavor. The portion was more than adequate and filling. 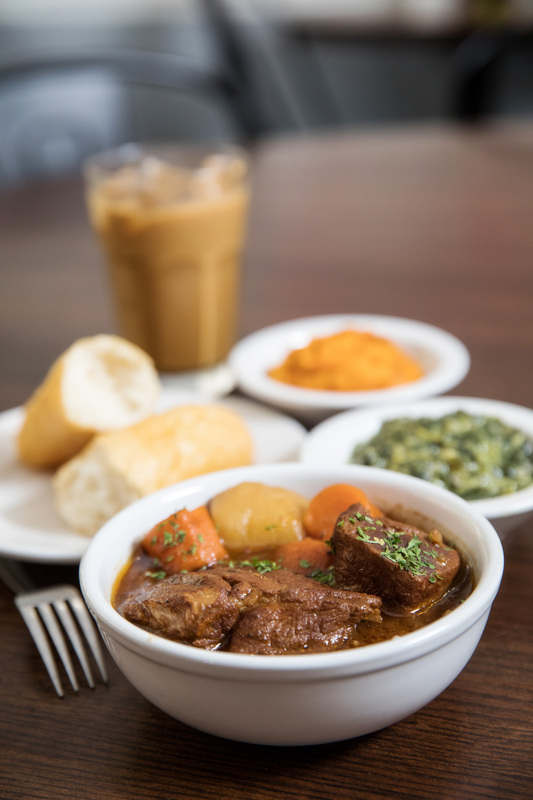 A hearty special of Mama’s Pot Roast with Spinach Madeline and an extra side of the highly recommended carrot soufflé was perfect for my peckish partner. The serving size was massive—made more so by the soufflé. The brown gravy and tender beef were flavorful and rich with a slight hint of black pepper. I’m not a fan of vegetables sweetened with sugar, so personally I found the carrot soufflé unappealing. My partner, however, found the amount of sweetness perfect and the soufflé a legitimate representation. A creamy consistency was the hallmark of the rich Spinach Madeleine. It also had a back note of spice, perhaps pepper or, more likely, jalapeño. There was an abundance of spinach and onions swimming in the buttery mixture. This place is definitely a family affair, and one of the daughters was out front on our visit. She was super congenial with a genuine kindness and concern about our enjoyment of the food and atmosphere. In fact, this positivity carried over to each employee we met. With food this delicious and such great service, downtown lunch-goers can feel confident eating here again and again. 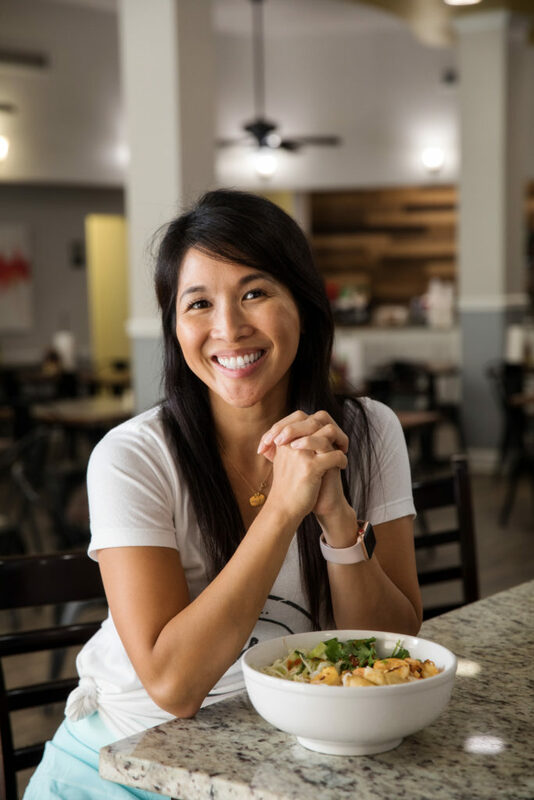 The basics: The downtown space once occupied by Harrington’s Cafe is now home to the Vietnamese-meets-Southern-cuisine restaurant Cafe Mimi. Serving breakfast and lunch on weekdays, the restaurant has become a regular haunt for the downtown crowds. 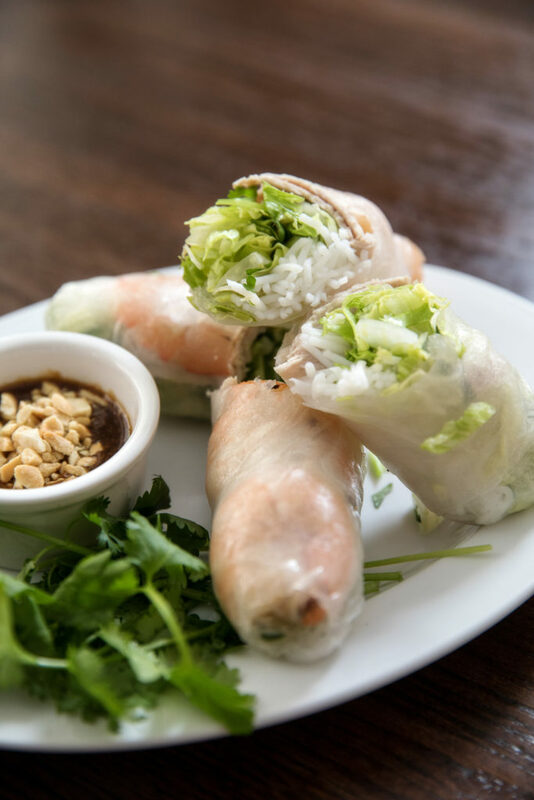 What’s a must: One of the daily specials like Mama’s Pot Roast with Spinach Madeline for a hearty lunch meal, or sample some of the healthier Vietnamese dishes like spring rolls with peanut sauce or a vermicelli bowl topped with grilled shrimp and a fried egg roll. Our food critic’s name may be false, but the credentials are not. This gastronome has studied the history, cultivation, preparation, science and technology of food for more than 30 years.